Staggering Stories Podcast » Blog Archive » What is Open Source software and why does it matter? This entry was posted on Tuesday, August 14th, 2012 at 09:23 and is filed under Blog, commentary, computing, linux, politics, toys. You can follow any responses to this entry through the RSS 2.0 feed. You can leave a response, or trackback from your own site. One Response to "What is Open Source software and why does it matter?" I totally agree with the sentiment of this post – Open Source development and technology is like helping everyone rather than just yourself. 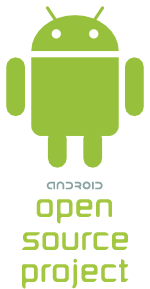 Just a point of clarity – I believe that Android (operating system) is released as an Apache 2.0 license – which means that changes to the original code don’t have to be submitted back. I also think that there are (or were) components (GSM code springs to mind) that are proprietary and not open source.